We all know this classic, but as more and more great books come along, those classics get pushed aside and books like The Gruffalo take more of a centre stage. Hare and Tortoise has a great moral that everyone can manage. I have frequent seen the quote 'Hard work beats Talent, when Talent doesn't work hard' and that's exactly what this Aesop's Fable is about. So what's different about this one and why should you get it for your kids? The pictures are cute, the diagrams are funny as and it has an extra value that all kids should learn. Sportsmanship. 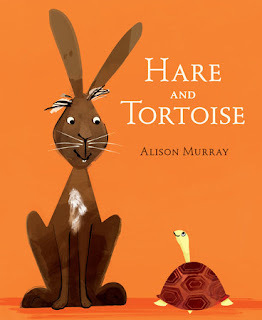 Hare and Tortoise would make an excellent addition to any bookshelf.